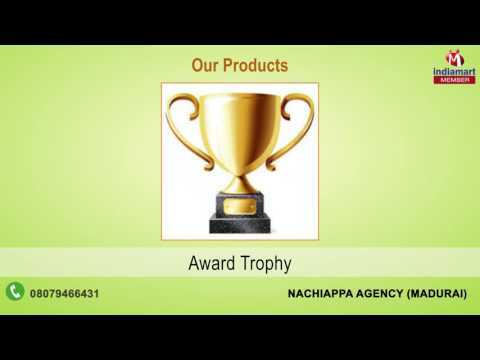 Established in the year 1986, we, %u201CNachiappa Agency%u201D are one of the leading manufacturers, suppliers and buyers of superior quality Corporate Gift Items, Number Plates, Sun Control Films and Badges. Our expert professional manufacture the offered range of plates by employing high advance machinery and techniques. Further, we assure to design & develop these products in adherence with the international quality standards & norms. The offered range of number plates is commonly used in the buses, cars, trucks, tempos and scooters. Further, offered gifting items are the perfect souvenirs to present in corporate and commercial sectors.